How many times have you heard it: if we could tap into the energy embedded in our copious waste streams, we could usher in a new era of energy independence—freeing ourselves of the need to support oppressive regimes who happen to sit atop the bulk of the oil reserves in the world. In fact, these sorts of claims are abundant enough to give the impression that we have a cornucopia of fresh (and sometimes not so fresh) energy solutions to pursue if we got really serious. This is a hasty and dangerous conclusion, so in this case, waste makes haste. I consider this perceived abundance of technological solutions to be one of our worst enemies in developing sensible solutions to the coming fossil fuel energy crunch. If ideas abound, each claiming some ability to free us of foreign oil, then surely we’ve got the situation under control and don’t need to invest substantial time and energy today to solve what looks like a non-problem of tomorrow. But what if the claims are overblown, hyped, or just plain wrong? At best, this is irresponsible behavior. At worst, the resulting sense of complacency could delay substantive action to our ruin. Example waste streams include human waste (sewage), household trash, agricultural byproducts, and commercial/manufacturing waste. I have even heard ambitions of capturing acoustic energy in noisy environments to generate useful electricity. I almost drove off the road when I heard this one, considering that a loud 100 dB corresponds to 0.01 W/m² of power density. At great expense of installation (hundreds of square meters of collection), we could maybe power a nightlight or two! The problem is that ideas like this sound good when the public lacks the background to evaluate the quantitative potential, and when the press release is too lazy to put what sparse numbers are provided into context. Addressing this quantitative/analytical shortcoming is the whole point of Do the Math. In this post, we’ll look at human waste, waste cooking oil, and household garbage as examples. We bypass for now what is perhaps the biggest potential waste stream listed above: agricultural byproduct. 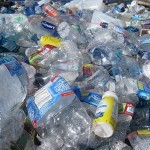 The point of this post is not to say that waste streams are, well, a waste of time. Valuable energy can be recouped by such methods—sometimes economically so. The point, rather, is to put numbers on ideas that are sometimes portrayed as big solutions, when they are not. I’m so flummoxed I don’t know where to start. Deep breaths. Start small. When we import 60% of our oil, even reaching the goal of powering one-third of cars on the road with biogas can’t claim to make us “truly fuel-independent.” I could maybe be convinced that all-out (labor intensive) efforts to derive biogas from plant products could replace substantial fractions of our oil. But human waste (which gets top billing in the quote)?! Let’s do some numbers. We saw in the post on personal energy cubes that the average American is responsible for 10 kW of continuous (thermal) power production. Petroleum represents about 40% of that, so 4,000 W from oil. Meanwhile, typical diets are in the neighborhood of 2000 kcal/day, which converts to 100 W.
If you’ll forgive the personal question, how much of your 100 W metabolic intake (chemical energy) would you guess is undigested and remains available in your poop? Are starving people tempted to avail themselves of the energy within? Obviously there is some energy left, or flies would not be attracted to lay eggs in the stuff. And bacteria can make do breaking down the remaining material. But no large animal (reptile, bird, mammal), to my limited knowledge has evolved to fill a niche in the ingenious animal kingdom out of harvesting the waste streams of other animals (cow pies are not treats to any animal I might have as a pet, despite the suggestive name). I’m going to pick 10% as a waste energy fraction I would imagine to be at the high end of the spectrum—meaning 10 W of continuous power might be extracted from an individual’s human waste. Before you quibble that the number isn’t right, let’s see that it won’t matter. At 10 W per person, we could potentially replace one four-hundredth of the 4,000 W personal oil stream. That’s 0.25%, and I think this is on the high side. Now re-read the quotes above and see if they get your ire up too. 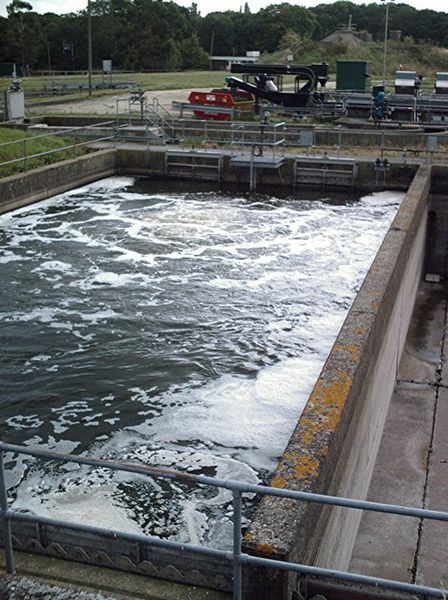 Okay, if you want to capture energy from a waste stream at a point of concentration (sewage plant), I’m all for it. But can we please refrain from hyperbole that gives voting citizens the impression that we’ve got a lock on the energy problem? 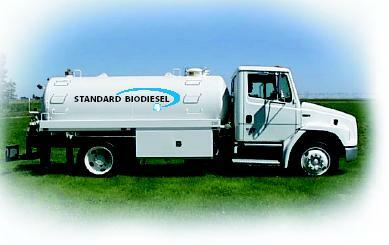 Biodiesel can be made from cooking oil, even after the cooking oil has been used. Some clever folks have taken to using waste streams of cooking oil (e.g., from fast-food restaurants) as the feedstock for biodiesel. I have no doubt that if I were rambling down the road powered by waste cooking oil, I would have a smile on my face—and not just because I love the smell of french fries: I would relish being free from oil. And with little effort, a search engine can point you to many claims of generating biodiesel from cooking oil as a path to energy independence. As with the others, we ask: can this represent a significant fraction of our reliance on oil? Can many of us expect to do this? First question. Have you ever seen a tanker truck loaded with gasoline? Lots of times, right?. You’ve seen them on the freeway, unloading in gas station parking lots, and spectacularly blowing up in any number of action films. Now, how about cooking oil trucks delivering fresh supplies to restaurants, or picking up waste oil? I’ve seen them, but nowhere close to the frequency I’ve seen fuel trucks. Another way to frame this is that you seldom pass a gas station when someone is not fueling up. During a day, hundreds of tanks are filled; thousands of gallons (tens of thousands of liters). But you could park behind a restaurant for a week without seeing a cooking oil transfer. And when that does happen, it may be a single 55 gallon drum. I used to work at a fast-food chicken place, and I can vouch for the fact that the oil is not changed as often as you might wish it to be. True, restaurants outnumber gas stations, but you surely get the sense that the flow of cooking oil is miniscule compared to the flow we demand in our vehicles. Let’s put some numbers on it before leaving this one alone. The U.S. uses about 20 million barrels of oil per day, or about 3 gallons per person per day (300 million people; 42 gallons per barrel). Even if there were one fryer-equipped restaurant per 1,000 people in the U.S., and each had 4 deep fryers at 5 gallons each, and even if the oil is replaced once per day (we should be so lucky), we’re dealing with 0.02 gallons per person per day—more than 100 times less than the petroleum flow. We could replace less than 1% of our oil consumption with recycled cooking oil, even though I intentionally stacked the numbers in favor of cooking oil (by making larger estimates than I think are realistic). The device takes one kilogram of plastic, and produces about 70–80% of that mass in oil (about one liter) over the course of three hours. It consumes somewhere between 1–3 kWh of electrical energy (specifications unclear, claiming 1 kW/hr—which is a nonsense unit, either meaning that it takes 1 kWh or runs at 1 kW for its three hour run-time). The result is something like 9 kWh of oil energy per batch. So it seems to be energy-positive, unless 3 kWh of delivered electrical energy comes from 10 kWh of fossil fuel (thermal) energy at the power plant. In any case, the oil would need further refining to work in our vehicles. But how much oil demand could we displace with such a device? For starters, 7% of oil extraction goes to making plastics, so this is an upper bound if all plastic were recycled (and if all types were appropriate to the machine, which is not true). At best, turning plastic into oil cannot be a substitute for oil extraction (since oil is the feedstock for plastic), but is rather a small adjustment to the efficiency with which we turn extracted petroleum into combustible fuel. In any case, the claim I want to examine is at the personal scale: that the home becomes your own oil field. My wife and I are not prolific consumers, but we do buy items with an eye toward being able to recycle the packaging. As a result, our recycle bin receives much more volume than our trash bin. A typical plastic container for 2 liters of fluid has a mass of 75 g. Even ten such containers (or equivalent plastic) per week is less than one kilogram of material—and this is far more than we generate in our household. But if you did generate a kilogram of plastic waste in your household each week, we’re dealing with one liter of oil per week. Compare this to the U.S. average of about 12 liters of oil per day per person—therefore approximately 30 liters per day per household, or 200 liters per week. The resulting 0.5% puts us back into the familiar territory of a household contribution less than 1%. So we have seen a number of clever ideas with proof of concept (working models) that prove to be inconsequential at a relevant scale. There are a lot more cute, but tiny ideas where this came from. Perhaps we could implement 100 different 1% energy solutions and call it good. But this is unlike any economic model we have seen in the past, where a select few energy sources dominate the infrastructure. Ever since I became aware of our looming energy predicament, I have shared my concerns with friends and acquaintances. I routinely hear references like: “The other day I heard about a way that we could use [some hitherto unappreciated energy ‘source’] just by [exercising some cute trick].” We are bombarded with cute “solutions” to energy issues. We have enough awareness to know that we want solutions, but not enough honesty in presentation or comparative analysis to judge whether an idea has real potential. Demonstration, or proof of concept, is often taken as enough evidence to satisfy our skeptical nature. And even if half of the things we hear about are over-hyped, we hear enough of them to placate our worries. The result is that we do not have an all-hands-on-deck effort to plot our energy future. Reliance on market forces, human ingenuity, and a track record of successful substitution short-circuits our ability to get serious. I am one of many highly-educated researchers with a full toolbox of instrumentation and analysis skills, representing a substantial investment on the part of our taxpayers (much of my education and research has been funded by federal scholarships, fellowships, and grants). One reason people like me are supported by our society is because we have collectively learned the value of keeping a talent pool at hand to solve our big problems. But there has been no trumpet call for this mother of all problems. No Manhattan Project. No Apollo. Fractionally, very little research funding is directed toward a meaningful transition away from fossil fuels. I visit physics departments around the country and very seldom find anyone working substantively on the energy problem (including me personally, as motivated as I am). The public assumes that scientists will solve the problem in time. But in my circles, I hear crickets chirping. I largely place blame on the fact that the public is not sufficiently educated about the challenges ahead to demand action from their political representatives. And when we are constantly exposed to cute “solutions,” why should we be surprised that folks aren’t fired up—even if the solutions are a load of [what word comes to mind]? This entry was posted in Bio Energy, Energy, Energy Scale and tagged biofuels, metabolism, resources, technofix, waste by tmurphy. Bookmark the permalink. I don’t know about you, but I believe that Wind and Solar PV are the future techs. Now obviously efficiency is not there yet and we will need much better energy storage (battery) but I believe that work is progressing on those. You also have to remember, that there is a HUGE industry built around the use of fossil fuels and they do not want to see that go away anytime soon. There is also the huge industry of energy distribution (like gas stations). Most of those industries are not looking forward to a time when I will be able to generate and store energy at my home and not be dependent on them, like those idiots trying to do a battery swap. This is half of the battle. Steve believes that certain technologies are the future… I suggest that he, and others, read a book that has gained high praise from everyone. By “everyone” I specifically include the green lobby (FoE, Greenpeace etc), big energy (oil/gas and electricity companies), politicians, scientific academics, etc. Why? Because the author doesn’t have an agenda, other than removing the hot air from the discussion. Very readable, partly because it is dense information, not rambling hyperbole. Interesting that you recycle consumer goods packaging. I would like to see you do the math on that and see if that is worthwhile once the costs of collection and processing are included. I have not done the math, but I suspect it is usually not worthwhile except maybe for aluminum and steel. I’ve often wondered this myself. I’ve heard people argue both ways, but I’ve always suspected that the total energy input required to pick up and process recyclables far exceeds the benefit of reducing reliance on raw materials. The primary benefit I see there is reducing landfill waste. 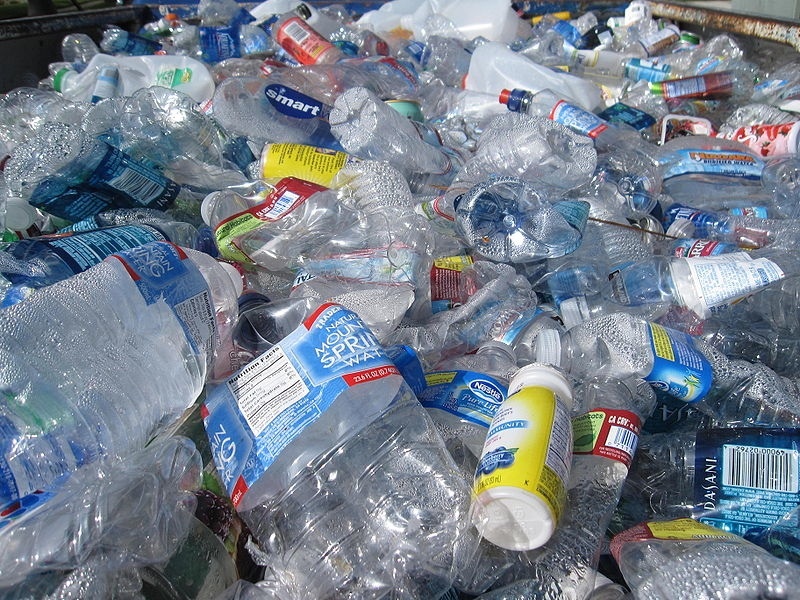 I wonder if there’s any easy way to quantify the “cost” of the amount of space your average household production of glass and plastic takes up in the landfill versus the cost of reprocessing that material. In the Netherlands several kinds of household waste are collected separatly (about 75% by volume I think), and from the remainder more components are extracted in industrial installations before being incinerated. [regarding separation of waste:] Many years ago the CEO of one of the waste processing facilities claimed, if I remember correctly, that the technology they had then was already so advanced they could do *all* separation at their facility, there was no need for households to separate different kinds of waste anymore. Naively I thought politicians would be happy, you do the responsible thing while keeping it simple for civilians. But no, the green politicians opposed the idea. Why? Not because they didn’t believe him, but because they wanted people to be aware of environmental issues, and separating your own waste is good for that awareness. Sigh. The cooking-oil-will-save-us-all story gets even sillier. Food-grade frying oil retails for between $6 and $12 per gallon. Diesel retails for $4.20 per gallon at the pump. Great insight. Really appreciate the context. Thank goodness someone is working hard to save us! I just saw a Giant Panda last night, so they must be pretty common. Totally overlooked solution: we were staring it in the (cute) face! Okay—I just actually read the piece and admit to over-reacting. But this certainly qualifies as a (literally) cute solution that conveys the message that we’re saved—and in this case with no demonstration available yet to bolster the hype…er…hope. Working example. There is some land fill for a county of say ~0.5 million people. Hard waste stored on specially prepared land (don’t remember actual layer count and compound) big hills covered with soil. After couple of years different operators drill these hills for a gas and pump to nearby willages central heating station. As director said, land fill will accept waste for about two more years (no more space left and ecological concerns). Gas drillers will operate for about 8 years more with declining gain every year, substituting declined gas with natural gas from pipe. It cuts in half winter heating costs for willages and brings some profit for drill and pipe operators now. With every year bio gas will decline and more costly natural gas share rise. So it’s better for these two willages, operators have work and I think it’s better than went away, but evething inline with your’s math – that’s substitute for only limited time and very limited population. 0.5 million peoples waste -> energy for about 5000 people -> 1% and declining. In fairness, the plastic to oil scheme should work out a little better than you suggest because in addition to using our current waste stream, you could ‘mine’ landfills for more feedstock – I don’t have a good sense of how much plastic has been thrown away over the last 80 years, but I would guess it’s substantial. Obviously this assumes you can extract the plastic in an energy efficient way, though one upside of 7 billion people on the planet is there is plenty of cheap manual labor to be had, if the political will is there to import them to the places where rich veins of plastic can be found. Perhaps one could even hit 2% of current usage. I do wonder though, if there is no silver bullet to this problem, and a wide collection of very marginal techniques, along with drastic reductions in energy consumption, is the best one can hope for. For those interested in a healthy skepticism towards alternative energy claims, please read Robert Rapier’s blog at http://www.consumerenergyreport.com/blogs/rsquared/. Mr. Rapier has long experience in the oil and gas business as well as with renewable energy companies and is a sane voice in the literally insane hype surrounding new energy sources (especially ethanol). Given the looming fuel crisis, it sems unlikely we can grow ourselves out of his problem, and yet growth is always the answer when ever politicians and market economists get together. The Obama administration seems to want the Keystone XL pipepline to get built to make bitumen flow from Canada’s tar sands into Texas refineries. So, as a Canadian, I’d love to know, how many acres of tar sands needs to be mined in a year to support a typical acre of housing ie sprawl. Your posts may not contain happy news, but they bring much needed clarity to the environmental movement. I just want to thank you for cutting the proverbial crap and laying out the fundamentals of the situation. As a sociologist-in-training, these sorts of estimates are invaluable to me as I try to make predictions regarding the energy crash’s impact on our societies. One request for an article would be regarding mining Mars (or asteroids) for raw materials as well as vertical farms. My friends seem to think that either/both and that some unforeseen technological quantum leap will somehow provide us with a means to transition and save our society. I have rejected that claim, but would love to have some hard numbers to back my argument up. Still, it’s a tough one to make, because the prospect that we’re screwed will likely always elicit psychological maneuvering to propose another even more fanciful solution to avoid staring chaos in the eye. A quick answer might be that it is significantly easier, in both energy and technology terms, to mine central Antarctica and the floor of the Pacific than it is to mine Mars.Why, you might ask your friends, are they not suggesting those places first? Re vertical farms: under laboratory conditions, plants convert 6 per cent of incident light into usable food over the course of their lives. In a vertical farm, where is the light going to come from? How much floor area do you need? A full accounting of the capital and operating costs of a vertical farm soon reveals this idea for what it is. Vertical farms are a desperation measure. If we poison or heat up the surface of the planet to such an extent that we cannot grow crops outside, we’ll have to use them. But food costs will then be eighty percent or more of everyone’s budget, and meat will be a distant memory. >I largely place blame on the fact that the public is not sufficiently educated about the challenges ahead. I’m afraid it’s worse than that. A substantial fraction of the public (including some of my engineer colleagues) actively /defy/ being educated. They know this whole energy thing is a hoax, and they know that any evidence to the contrary is a [green|liberal|corporate} conspiracy (pick one or all!) They can’t be educated because their minds are completely closed. And I think there are enough of them out there to block any meaningful action. Very sad. Great post clarifying the silliness of current alt energy schemes. I continue to question the motives: are people this ambivalent because of marketing hype? Or is there a more sinister agenda being knowingly pursued? These schemes make no common sense, yet common sense is not being applied. Why not? While not oil specific, the same themes and simple math mistakes re: efficiency and sufficiency are being perpetrated in the discussions of electricity as well. Oddly, on the electric front, we seem to have the silver-bullet alternative — nuclear — but are unwilling to make the switch! Again, makes me curious as to the intention of those marketing the dangers of greenhouse and coal…and question the more sinister agenda. Even when faced with viable alternatives, we find a way to not pursue them and instead pursue alternatives that don’t add up? 3. The US, at current consumption rates, has 300 years of natural gas – at least. Thanks for the info—especially about plastics. Folks are heady right now over the fracking shale-gas “boom,” and estimates for how much we’ve got have soared as a result. But we’re seeing lots of downward revisions lately, and a bit of sobriety is creeping in. I’m not ready to buy the 300 year estimate. Check out David Hughes’ recent report on prospects for natural gas. 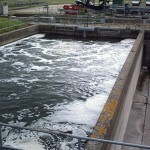 I recently visited a waste to energy site and came away impressed. They burn separated garbage (for which they are paid a tipping fee), sell electricity to the grid, and sell the waste heat to neighbouring industry. The economics make sense, the emissions are minimal, and the results are far more attractive than trucking the garbage to a landfill 300 miles away. I agree that many ‘alt energy’ schemes do not make sense but WTE is one area where ‘the math works’, particularly in population dense regions. All of these ‘schemes’ (I cant think of a better word), all suffer from two rather large gaping holes in there viability. For one thing, every one of them relies on the idea that one we spend huge amounts of energy converting one, or a set of substances, into some ‘product’. Then after we are done with it, well spend even bigger amounts of energy running around and collecting(whatever it happens to be, poo, plastic, fry oil), re-processing into something else then send whatever comes out the other end back out into the world via the same criminally wasteful distribution system that wasted all the intital resources and energy in the first place. What an awesome idea….. The second problem is, most of these ideas also rely on a criminally in-efficent and wasteful consumer society to produce all this wonderful waste to convert to ah, fuel, in the first place. Another example your article didnt mention but falls into exactly the same category, is oil-from-old-tires. Billions of tires that dont degrade and have huge amounts of oil locked up in them. But recovering that oil makes little sense energetically or economically. But the waste management problem tires present is very real. So what to do? One thing no one ever suggests is stop makeing 80 million cars a year….